It’s becoming more and more common in recent times that people are looking for something more than an ordinary computer. A computer that will last for a long time and can perform heavy duty tasks. Apart from the common things like editing docs, watching YouTube or listening to music users might also be interested in playing latest graphics intense games. For some people like programmers to do high level of programming and complex simulations or maybe an artist to edit HD video – simple off the shelf computer is never enough. For this type of user a custom built pc is the best option. Custom built computers are configured and assembled from components that are separately purchased. Rather than a readymade complete system purchased from a shop. So the question is now, what things needs to be taken into consideration while buying a custom built computer? To be more specific you can’t really “buy” a custom built computer. It’s more like assembling a computer using parts from different vendors. You can either do the assembling by yourself or ask a professional to help you.Here we will discuss how you can choose the best combination of components for your custom built computer that will give you best performance without punching a hole in your pocket. For many tech savvy people, it’s kind of a hobby to build their desired computer system from scratch. They often turn out to be better performing systems than pre built computers. Most importantly the users have the freedom to add whatever hardware they desire. They can have several options, starting from multiple hard drives, high end graphics cards, liquid cooling, and high resolution monitors. The current computer technology is highly modular. Meaning that the machine can be built with parts from different manufacturing companies. And if any problem occurs in a module, you can simply change that particular part. Suppose, your RAM is out of order, then you do not need to change the whole mother board. Instead you just need to change the RAM. It’s also applicable for an upgrade of the system. You get to pick and choose every single component of the computer the way you like. There are mainly two approaches that can be followed while buying a custom built PC. A top down approach and another one is a bottom up approach. In top down approach, the purchase of your PC is preselected. That means, you might have read a review about a particular PC model from renowned web sites, watched a review on YouTube or TV program, or your family and friends might give you a feedback on their recent experience with their computer. You can go and ask the computer store technician to build you a computer just like the one your friend might have. If money isn’t as issue for you then you just focus on what you need. Keep buying different components until you are confident that the system will provide you the performance you are after. On the other hand, in case of bottom up approach, the budget is your main constraint. You need to choose your future PC or the upgrade, according to your available budget and make a perfect trade off between your budget and requirement. This is the most common dilemma that most buyers face before buying a custom built computer. Basically all desktop computers are assembled from interchangeable and readymade standard parts. Laptops mostly come as readymade device and you can expect to change the RAM or the hard drive at best. The rest remains same more or less. Plus custom building a laptop can cost you a lot of money. Now let’s see how someone would build a custom built computer. First of all we need to know what components make a functioning computer. Looking at a basic desktop computer from outside, you will find a monitor, a computer case, a keyboard and mouse. There might be some other accessories such as printer, webcam, speaker etc. attached to the computer. 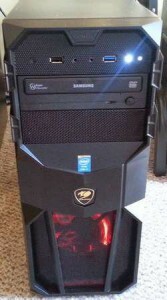 The computer case is place where all hardware components are placed. There is a motherboard that in a way hosts other components of the computer. The CPU or otherwise known as the processor is placed on the motherboard with a cooling fan on top of it. There are slots for RAMs and other supporting modules such as graphics card, sound card, wireless modem etc. The hard disk drive and other optical drives are also located inside the computer case. All these components are powered by a power supply module. One of the perks of custom built computer is, you get to choose your own computer case design. There are some beautifully designed cases available for you to choose from. Some of these computer cases have cooling options with led lights that goes on and off randomly. Just like the ones they show in Si-Fi movies. While choosing the best combination before buying a custom built computer, it really comes down to what tasks you need the computer for. If you are looking for a computer to browse internet, document editing or maybe to syncing music to your mobile devise then you really don’t need a high performing computer. The key is to understand which component of computer does what. 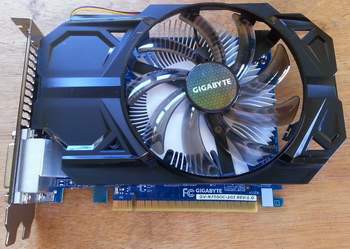 If you are into heavy gaming then a dedicated graphics card is a must for you. If you are a computer programmer then you need a high performing processor that will help you with quick debugging. An architect might need a bigger monitor than others. Make sure you are not buying things that you don’t need. Always ask the technician about the use of a particular component. Ask how and to what degree it may affect the performance of your system. Draft few possible configurations before going with the best one that suits you. A lot of you may be thinking if you can custom build a MAC? Well, the answer is NO. Because MAC comes pre made by Apple. However you can custom build a computer that has similar specs to a MAC computer for a cheaper price and have the MAC operating system installed in it. In fact, for the amount of money you would spend buying a MAC you can have a far superior and better performing computer if you choose to go for custom built computer. Windows has always been the choice of operating system for people buying custom built computers. The good news is, custom built computers are extremely flexible in terms of repairing. If one component goes bad, you simply replace that particular component with a new one.